For this evening presentation, Carolyn will explore convergences in the definitions of psychological illness and healing between Carl Jung and the great intellectual and founder of modern Chinese literature, Lu Xun (1881-1936). Carl Jung (1875-1961) and Lu Xun were contemporaries, living on opposite sides of the world but embedded in the same international zeitgeist, as emerging European thinking about the unconscious trickled into China during the early 20th C. As a young man studying in Japan, Lu Xun committed himself to healing the spirits of the Chinese people with literature. His model of spiritual healing, implicit within the structures of his short stories, closely parallels Jung’s views on the relationship of ego and shadow within the whole Self. Lu Xun’s short stories give renewed meaning to Jung’s 1916 statement that “the psychology of the individual is reflected in the psychology of the nation.” These parallels are the subject of the evening’s presentation. It is difficult to exaggerate Lu Xun importance in 20th C. China. Critical commentary on his works (which include not only short stories but also essays, commentaries, translations, and poetry) would fill a small library; until recently his stories were required reading in Chinese schools; his short stories have been widely presented to popular audiences through films, operas, plays, paintings, prints and other media; several museums are dedicated to his life. He is best known as a truth-teller, an unrelenting critic of the Confucian society of his time, which he understood as visiting gratuitous suffering on the Chinese people. He revealed age-old, unquestioned social norms to be instruments of cruelty. His reputation is so powerful that it has been appropriated by parties from opposite sides of the political spectrum: on the one hand, he was praised effusively by Chairman Mao Tse-tung (1893-1974) as a harbinger of the Communist revolution; on the other there is currently a commercial Lu Xun theme park in Beijing. But these public encomiums belie the exquisite sensitivity of this extraordinary writer of short stories, who probed the depths of his own psyche and unflinchingly challenged his own moral complicity in the systems he critiqued. Lu Xun’s work as a writer of the modern short story and Jung’s writing and work arising from the treatment room converge in their premises about the healing capacity of the psyche; both explore how the unconscious can be brought into consciousness as a path towards greater wholeness, both within the individual and within the body politic. Carolyn will begin by sketching the historical context from which these two great thinkers emerged, provide summary definitions of Jung’s notion of the dynamic interplay of conscious and unconscious within the whole Self, and then focus on key images from Lu Xun’s autobiographical statement about his choice of a career in literature and on his shortest short story. Jung’s psychological model illuminates Lu Xun’s artistic vision of social healing and suggests that beneath the layers of cultural difference certain human patterns stubbornly prevail. 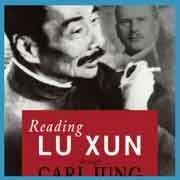 The evening’s discussion is based on my new book Reading Lu Xun Through Carl Jung. Carolyn Thompson Brown is retired from her position as Director of the Office of Scholarly Programs and the John W. Kluge Center of the Library of Congress. She holds a Ph. D. in Literature from American University and an MA and BA from Cornell University in Chinese Literature and Asian Studies, respectively. She served as Associate Dean for Humanities at Howard University before moving to the Library of Congress, where she held numerous positions including Director of Area Studies Collections and Director of Collections and Services. During her academic career she published in several journals, including CLEAR and Modern Chinese Literature and edited Psycho-Sinology: the Universe of Dreams in Chinese Culture. She currently serves as a trustee of the Fetzer Institute, Kalamazoo, Michigan.